Nintendo’s seventh home console, the Switch, arrives this Friday. 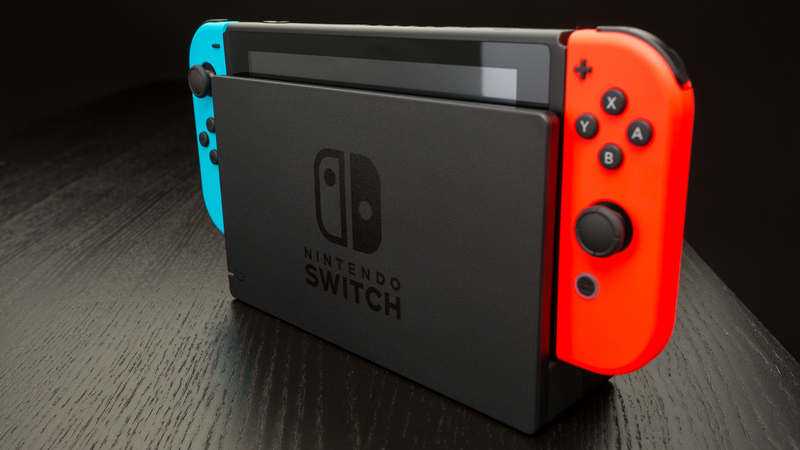 As is typically the case with big tech launches, Nintendo has seeded several publications with review samples and given them a week or two to become acquainted with a handful of the system’s launch titles including The Legend of Zelda: Breath of the Wild and Super Bomberman R.
Is Nintendo’s Wii U successor worth your time? Here’s what early reviews are saying. Just looking at the Switch's primary focus of being a practical home-and-on-the-go console, the Switch definitely nails it. There is something awesome about taking a huge game like Zelda with you wherever you go. It was perfect for my train commute to work and it works well on a plane, too. And while battery life is far from marathon levels, I was easily able to lengthen my mobile playtime using a Tronsmart portable charger thanks to Nintendo adopting the USB-C charging standard on the Switch. Make no mistake, while the Switch's Nvidia Tegra X1-based system-on-a-chip easily makes it the most powerful portable console ever made, its polygon-pushing power isn't going to give the PS4 or Xbox One a run for their money. In a game like Breath of the Wild, the system shows off some decently impressive reflection and particle effects while generating beautiful, expansive 3D worlds. But even that world seems generally less crowded than similar open worlds you might find on the Xbox One and PS4. You'll encounter less in the way of detailed textures on individual in-game models. This difference could be a stylistic choice as much as a hardware concession, but consider the fact that far-off objects in Breath of the Wild frequently pop into view as they reach a threshold distance from your character. At one point, I was literally climbing up a seemingly invisible tree for a few seconds before it popped into existence before my eyes. That's not the sign of a system that's easily handling the vast open world it's being fed from memory. The Joy-Cons, as Nintendo has dubbed these accessories, are quite simply the most versatile and clever controllers that it has ever shipped with a machine. You can snap them on the tablet. You can hold one in each hand, as if you’re playing with Wii Remotes (and they have motion control and force feedback, too). Or you can slide them into the included Joy-Con Grip, which holds the two pieces together in a shape relatively close to (but not quite as comfortable as) a standard gaming controller. You can even hand a single Joy-Con to two players and play multiplayer games, right out of the box. This is a pretty big deal—if my math is right, the last game console to ship with two controllers as a standard feature was the Super Nintendo in 1991. Sure, using a single Joy-Con by itself to play a game can be a little awkward since they’re so small, but it works. So what’s to lose? There won’t be many games available for the Switch on Day 1, with only 10 titles releasing alongside the device on Friday. There were also some bugs in the unit I tested, including one that made the device fail to power on for a day. The Switch also lacks some important features like compatibility with Bluetooth earphones, and it was a mediocre portable gaming device with short battery life and an O.K. screen. And don’t forget: The Switch’s predecessor, Wii U, was also a multipurpose console that had a screen-embedded gamepad for portable use when it was released in 2012. That product flopped, so buying a Nintendo system today is a risk compared with buying a Sony PlayStation 4 or a Microsoft Xbox One. Others have also complained about the limited launch lineup but perhaps they forgot that the Nintendo 64 hit the US with just two launch titles? And that’s where the Switch’s outlook gets a bit murkier. With just days to go before launch, there are still several major lingering questions around Nintendo’s online strategy. As of this writing, we still haven’t gotten access to the Nintendo eShop or any games beyond Zelda and 1-2-Switch. We don’t know how online multiplayer will work, or how we’ll add friends, or how we can share images on places like Twitter or Facebook, or even how to connect to public hotspots that may have a login page. The Switch, notably, won’t have a web browser. It won’t have Netflix, either, making it one of the few connected devices left in this world incapable of streaming Orange is the New Black. Nintendo has promised a day one patch that should arrive before its March 3rd launch — but we don't even know what it will and won't change about the console. Nintendo’s track record with online functionality is pretty bad, and having that large an unknown just before the Switch launches is peculiar at best and distressing at worse. We’ll update this review when that patch arrives, which should hopefully be soon. As for the Virtual Console, Nintendo’s online store dedicated to reselling classic games from the company’s back catalog, that isn’t going to make launch. In fact, we don’t yet know when it’s coming to Switch.